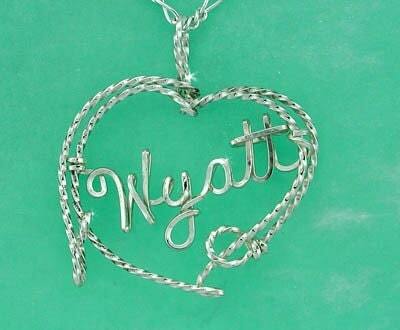 Why not rope in the girl of your dreams with this unique lariat necklace. This lovely rope design is perfect for that cowgirl in your life. The twisted wire looks like a rope and is formed in the shape of a heart complete with rondo. 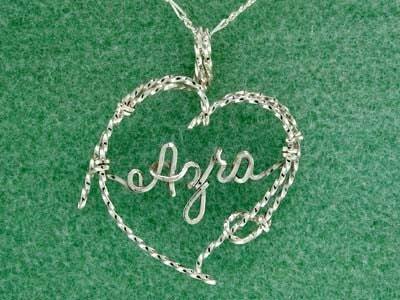 Any name up to 9 letters can be inserted in the heart.